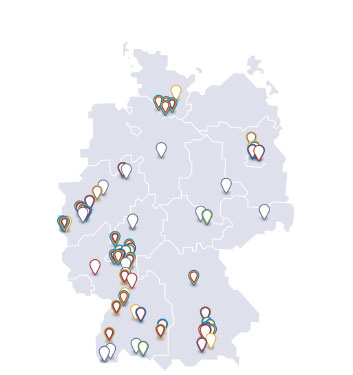 Since February 9, 2019, more and more packs of prescription medicines with additional safety features are going to arrive at pharmacies and hospitals across Germany. These features have been introduced to ensure that medicines can be checked for authenticity and patients at pharmacies and hospitals can, to a greater extent than before, be protected from falsified medicines entering the drug supply chain. They have a tamper-evident feature, i.e. a closure that shows if anyone has opened it before. It may be an adhesive seal across the opening flap of a pack which, following removal, tears off some of the ink of the pack. Or the pack must be opened along a line of micro-perforations stamped onto the cardboard. Manufacturers can choose from a wide range of solutions. They feature an individual package number shorted to SN. This number turns the package into a unique product because no other package has the same number. During the production process, the number is created, imprinted on the pack and subsequently stored in a protected data base by the manufacturer. And possibly the most obvious difference: The packs feature a square Data Matrix Code. All numeric data concerning the package is encoded into small black and white squares: the package number, the batch number, the use-by date and the product code (indicating the type of medicine, its strength and package size). By scanning the Data Matrix Code employees working at pharmacies and hospitals can “with one click” enter all the information relating to the packaging into a computer system, in particular in order to check the package for authenticity with the help of the securPharm system. Changing over to the new packages for prescription medicines within the German supply chain is going to take many months. The current packages can still be sold and used until the expiry of their use-by date. All of this corresponds to EU legislation against the falsification of medicines (Falsified Medicines Directive (FMD) and delegated regulation), which also ensures that the corresponding changeover for prescription medicines will take place simultaneously in almost all other EU countries. For the purpose of additional safety, the pharmaceutical companies had to change all productions lines for prescription medicines switching to new boxes and labelling, which, in view of tens of thousands of different types of packaging, is no small undertaking. There are a few special cases: Some prescription medicines are exempt from the rules, i.e. the packs do not need to contain the pack number and a tamper-evident seal. These are homeopathy medicines, allergen extracts, contrast agents, medical gases, radionuclides, solutions for parenteral nutrition and eight other small product groups. On the other hand, whilst being non-prescription, certain stomach drugs must also feature the identifiers. The drug authorities may, over time, change the list of medicines for which tamper-evident features are mandatory.